If you look at a group of pictures like those below, you have to wonder if any of these cars even exist anymore. Did you own one? Did your parents? Has it been completely recycled into something else by now? Is it rotting in a field somewhere? Or maybe it's that trophy winner you saw at the car show last year. There are lots of old pictures on the Internet, but I'm here to tell you, unless you've been rummaging through my junk room, there are at least 70 pictures below that you've never seen before. This group of pictures was taken by Chevrolet district managers, mostly in the 1960s, and stored at the Omaha Zone Office until it closed in 1986. I still have lots of these original old photos in my collection, and I've posted a few here and there in Examiner articles. But this is the mother load, most posted right here for the very first time--my scanner was really smokin'! These dealerships were all right around Nebraska, Iowa, South Dakota. There are a few of the ornate structures that most people think of--the cool brick, glass enclosed, art-deco corner buildings. But in the rural Midwest in the early 1960s, Chevrolets could be sold out of a gas station or under a grain silo. Some of what make these interesting is the contrast in facilities and approaches dealers took to move the merchandise. Some of these dealers are still in business today, albeit in more modern digs. Many of them are long gone. But all of them paint a picture of what it was like to see your new car 45-years ago. If you know anything about these places, feel free to share your stories in the comments section below the slideshow. Or if you just want to reminisce about the old days, those comments are always welcome as well. I hope you enjoy these as much as I do. If you're into old cars, or just history in general, I think there is quite a bit here to study and think about. See the slideshow below, or click this link for a nicer version. These are great photos(!) on several levels. After seeing several 'rotting away' series of pix I think its' important to remember that at one time the old cars were someones pride and joy. 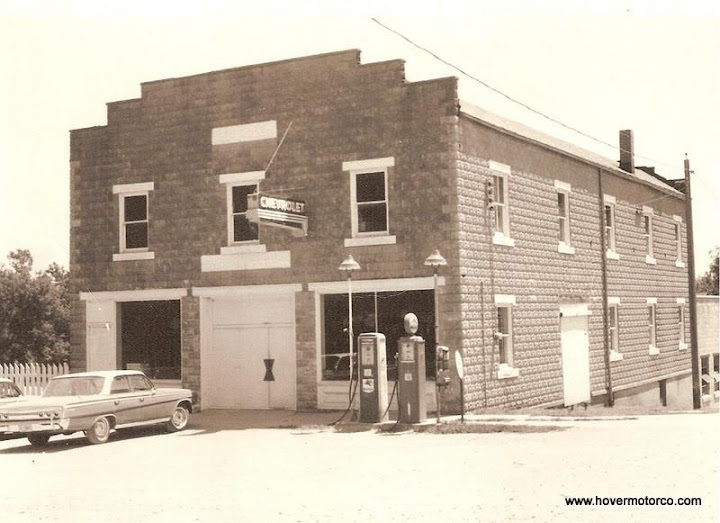 The old buildings are witness to a 'no nonsense' approach to selling and servicing cars. Thanks for taking the time to post these, They represent a time that has been, sadly, lost to us forever. Thanks, folks! Glad you liked 'em! Craig, any chance you sell reprints of these photos?? Wow! I appreciate you taking the time to post these. Our world will never be this simple again. Too bad. I am a little young to remember this era but I dig old car pics and these are off the hook cool. Thanks for sharing. Craig: Thanks for taking the time to post these pictures. They provide younger people a glimpse back to a time when America danced to a different drumbeat...when Announcement Day was HUGE...when Ford vs. Chevy was always in the news...when America's romance with the Automobile was vibrant and alive. Well Done! This is a fabulous collection of "Automotive Art"! One that really caught my eye was the Chevrolet dealership where I worked as technician, service manager and parts manager. When I left my old hometown, I worked as Area Service Manager in the Omaha Zone before moving on to GM Service Technology Group. Thanks for posting the photos. I've been in most of these dealerships at one time or another. Wow! More than one picture is of Bullock Chevrolet, no longer a franchise dealer, in Grant Nebraska. Check out Google maps street view. Great pictures, thanks for sharing, if you have more I would like to see them. 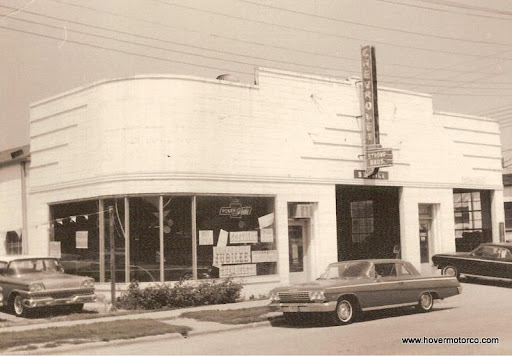 I own a shop that used to be a chevrolet dealer from 1947 to 1956, but have yet to find any pictures of when it was a dealership. 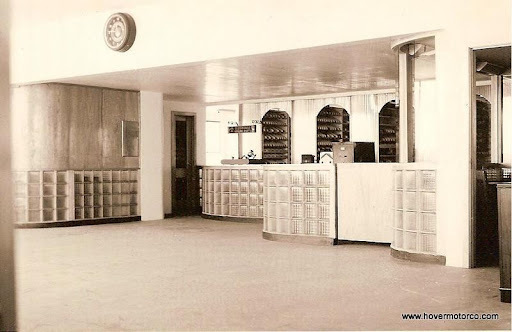 Who remembers the car dealership on 50th L street in Omaha. Been closed for a long time. H.P. Smith Ford, Inc. Dealership opened for the 1961 Sales season.